B. 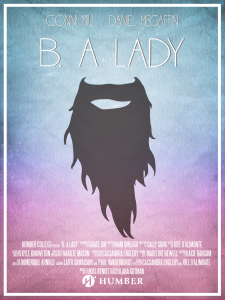 A Lady is a studio drama that I produced at Humber College. This is the first experience working with my peers in a big crew of over 30 people. 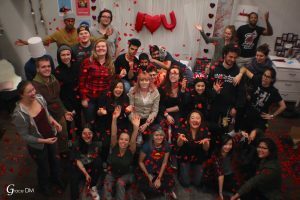 Studio Dramas at Humber College is where 8 scripts will be chosen to be filmed. 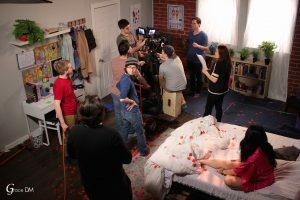 The productions are a two and a half day shoot, back to back. We had to build the set from scratch. The various departments would come together and discuss the plan with the director and I as the producer. The art department did a phenomenal job making the set come to life in the given short time frame of 24 hours. I was privileged to have one of the best crew, where everyone were committed and diligent in playing their respective roles. I couldn’t have asked for a better crew. Having a team that respected the schedule made my job easier and everything was accomplished on time. Before producing B. A Lady, I wasn’t sure I wanted to be a producer, but I took on the role anyway. Producing B. A Lady has made me realize that I’m good at planning and organizing. 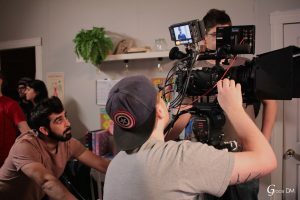 I think a producer should always take the initiative and know the different needs of the various departments such as the sound team, camera team, lighting team, and the art team. See more behind the scenes of B. A Lady. Visit B. A Lady‘s site.